Fall is commonly thought of like the cold and flu season gateway. Several people are beginning to safeguard themselves and their loved ones against germs, bacteria, and viruses that come with the season. What about allergies? When cooler weather rolls in, that means a decrease in pollen and consequently fewer allergies, right? Not entirely. Actually, cold and flu season may just make fall allergies trickier to identify and correctly treat. According to the Asthma and Allergy Foundation of America, roughly 35 million people suffer from pollen allergies or hay fever. Unfortunately, fall allergies, flu viruses, and colds share similar symptoms: sneezing, a runny or stuffy nose; coughing; itchy nose and throat; and dark circles under the eyes. So, how can you identify the differences? Time – Cold and flu symptoms usually appear and disappear in a few days. Allergic reactions typically occur almost instantly and can last for a while and even throughout the entire year if you are consistently exposed to the allergen. Treatment – Unfortunately cold and flu viruses need to run their course. However, allergy symptoms can be improved with the right treatment. Temperature – Here is a not so fun fact. If you experience a fever, you are more than likely to have the flu or a cold. The key is to know how to identify your symptoms source. This will make treatment much easier. Remember that the best defense is a good offense. Just like we take measures to limit the threat of flu viruses and colds, we can also do some things to help protect against hay fever. First, we have to understand the common fall allergens. Outdoor Allergens — Ragweed is extremely widespread in the fall season and can produce up to one billion pollen grains per plant. That’s right, ONE BILLION! This makes ragweed responsible for 75% of reactions in people that suffer from hay fever. Another outdoor fall allergen is mold. Mold can hide in your local corn maze or hay bale ride, not to mention those mounds of colored leaves. Indoor Allergens — You can run, but you can’t hide. We hate to burst your bubble, but if you think staying inside is a good way of avoiding allergies, you are wrong. A recent independent study discovered that indoor air can be ten times MORE polluted than air from the outdoors. The reason for this is that in addition to existing indoor allergens such as dust mites and pet dander, outdoor allergens sneak indoors in all kinds of ways. This includes getting into your home by attaching to your clothes, hair, and your pets. Airborne Allergens — Be hesitant about opening your windows in milder temperatures. Fresh air is great but can also carry airborne allergens, like ragweed. This is especially problematic on days with high pollen counts. If you really want to air out your home, consider doing some research beforehand in order to monitor allergen levels in your area. Just like cold and flu viruses, you can do some things to limit your expose to allergens, but it’s not possible to block them out completely. The second step is to reduce and remove existing allergens in order to get maximum relief. Efficient filters and routine cleaning can drastically improve indoor air quality and reduce common indoor allergens and fall allergy symptoms. Reduce — By installing a high-quality furnace filter with a minimum rating of MERV 8 will help to attract and capture airborne allergens like pollen, dust, and dander. Vacuum your carpets and rugs weekly with a HEPA filter-equipped vacuum. Remove — Head into the fall season the right way by getting your carpet and upholstery deep cleaned by a Chem-Dry carpet cleaner. In a recent study done by a leading independent lab, our proprietary Hot Carbonating Extraction (HCE) process was found to remove an average of 98% of common household allergens from carpets and upholstery. When a sanitizer is added, 89% of airborne bacteria. Not only that, our low-moisture HCE process uses about 80% less water than typical steam cleaning! This allows your carpets to dry in hours instead of days. This includes the absence of mold and mildew risk. 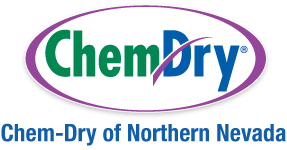 A professional cleaning from Chem-Dry is safer for your home and healthier for you and your family. Relieve — Despite taking proactive measures, some indoor and outdoor allergens are bound to find their way into our lives and our homes. However, that doesn’t mean we have to live with them. Whether you suffer from allergies and/or asthma or you just want to provide the healthiest home for your family, a Chem-Dry carpet cleaning can help you remove the allergens and bacteria hiding in your home and improve your indoor air quality. To learn more about creating a healthy home, schedule an appointment or request a free quote, find a Chem-Dry carpet cleaner in your area.